If you are looking for a good home cooked meal on the go or catering for your next big event look no further Houston. YSF Catering Co. is a Black Owned Business with quality food and customer service. YSF Catering Co. puts their heart and soul into every meal that is prepared. I have had a great experience ordering lunch from this wonderful establishment. The food is exceptional and the service is nothing short of family vibes. You have the option to pick up your food if you stay near or you can have it delivered personally to you home or work place. All forms of payment are accepted and YSF even adjust the order to fit my none pork or beef life style. All in all I support YSF 100% and look forward to ordering even more delicious food. Immediately after graduating from Lamar University with a B.S. from the Lamar culinary program Zoia Taylor started the business with her partner Jamilah Thompkins. I have had the pleasure of attending college with this beautiful soul and order a meal or 2 myself. YSF Catering Co. will be celebrating their 1 year anniversary December 6th and they aren’t showing any signs of stopping. For Order Vist Their Facebook Page here. I’ve had the pleasure of ordering from Naturotica numerous times and the consistency keeps me coming back for more. All of the products I buy are organic in every sense and I make it a point to order from businesses that are centered around just that. Naturotica and the sister brands Nene Organics and Yoni Poppin are the only brands I trust when it comes to feminine health and hygiene. The products are organic and vegan based; when shipped to you the owner Nerissa Irving provides facts about the products you purchase as well as useful tips. Naturiotica offers products such as: Yoni Steams, Yoni Eggs, PH balancing body wash, PH balancing feminine spray, Waist Beads, Skin care products, and Hair care products (locing products as well), and much more. Ordering the products online is a piece of cake and products take less than a week to arrive at your doorstep. Below I have listed the products I have purchased thus far. The rose water and lavender blend last majority of the day and smells really refreshing. I also noticed on extremely hot and humid days it prevents excessive sweating as well. You do notice a change in your PH balance. The yoni egg I ordered is the African Blood Stone Crystal that holds some amazing properties and benefits. 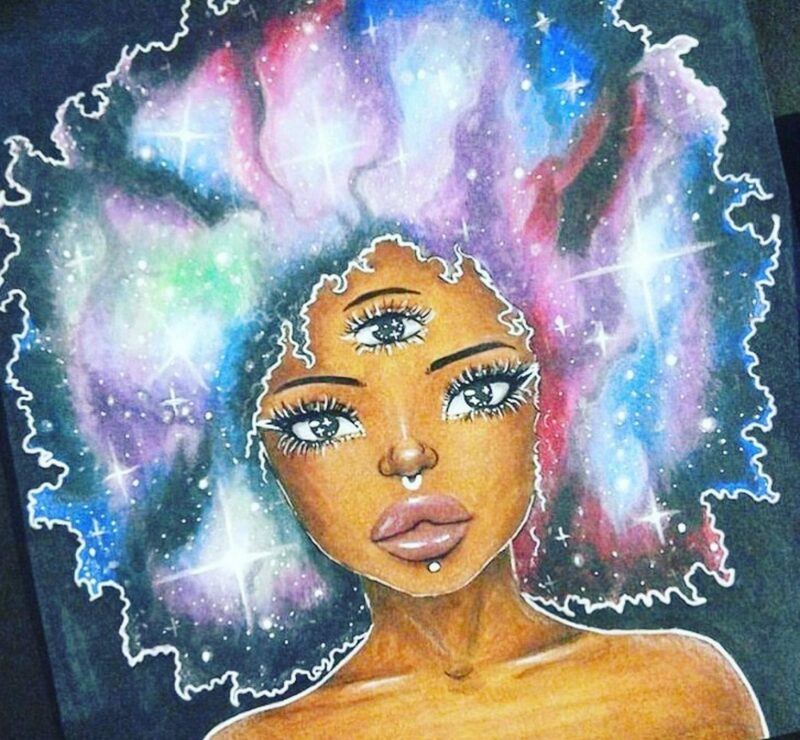 When I first used the yoni egg I was very nervous however Nerissa Irving provided me with instructions and her social media outlets carry alot of information. Since using the yoni egg and frequently doing kegels my menstrual cycle is lighter and I experience less harsh cramps sometimes none at all after the first day and a half. As of now my yoni eggs acts as a crystal more than a kegel tool. The drill is in place to add a string in case you would like to add small weights to strength your muscles. (Click Here) for more information on yoni eggs. Overall, though, there is a mental health crisis in African American life. This crisis is most deeply felt around the issue of self esteem. Mental health is one of many issue in the African American Community that is highly ignored or overemphasized depending on the subject matter. Bell Hooks openly talks about this topic 15 years ago in The Essence Bestseller: Rock My Soul; in a time when the subject was very sensitive yet just as relevant as it is today. The author creates a parallel between mental health and self esteem forcing us to take a look not alone within but back in time as well. Shedding light on the reality many of us ignore. Whether we come come from wealth or the slums, have several degrees or none, and a good pay job or unemployed; our self esteem as well as mental health is at risk. Bell Hooks forces us to look at ourselves in the mirror. Not only as an individual but as a community. She breaks down each political movement and institutional structure explaining how it continues damage our psyche from past and present generations. The author also shares how we play a role in the shattering of our mental health and how we can heal ourselves collectively. It is almost as though the author is challenging us to recall the things that uplifted up physically, mental, and spiritually. And to throw away the things we are clinging to. She does this by calling our attention to some key factors we may have been over looking in chapters such as; Refusing to be the victim, Spiritual Redemption, Living with integrity, and Inner Wounds just to name a few. Rose’s Story serves as a informational guide in the form of an autobiography. Taking us on an emotional ride through her life growing up in the system; Rose’s Story is a book that every social worker, teacher, and health care worker should read. Many may say this book is not relatable. I would argue that this is not the books intent. Rather the intent is to peel your eyes back and receive the truth about many of our government assistance programs as well as the facts about mental health. Rose has been a victim of the system since she was a child. Suffering from mental and physical ailments she finds herself being funneled through the system all the way into her adulthood. Only to later realize her father and stepmother are the source the madness that has been surrounding her life; including the reason she has been suffering from her ailments. From a missing mother to sealed documents Rose’s Story becomes a real eye opener. With all of her hospital visits why did it take 38 years to find out her episodes were caused by a heart condition? Should a physical examination be given after 6 month of receiving welfare benefits ? Why didn’t anyone check to see if she qualified for help from an outside source? Why did her father put her in a Mental Institution as a child with adults? Rose’s Story shows how mental illnesses leave too much room for social workers and doctors to make error. Many people with a mental illness receive little to no medical assistance and attention from the government; leaving them to be a medical experiment then later sent away or cast aside. We find that much of the medication given to patients causes serious physical and cognitive strain. Rose is the poster child that reveals not only mental illnesses and childhood altercations are tied to medical conditions that go untreated but also the medication given. All of these things which go unnoticed bring on stress and in many cases that is the trigger to medical and psych episodes. Once Rose was heard she began to heal. Key people she mentioned in the book listened to her after 40+ years later helping her to piece together the puzzle of her life. Have I lost my identity within society? Am I giving my all to something or people who do not appreciate me? Do I know who am I? Am I making difference or wondering? Invisible Man challenges our minds, hearts, and soul to remain true to ourselves. It helps us realize we do not need to be a part of any and everything to have a voice and make a difference. To also look deeper into things as we move forward to be conscious in each more that we make because there are people who have alternative motives. Ralph Ellison centers this story in the late 20’s or perhaps the early 30’s; a nonetheless important and historical time period. He creates a character that is narrating his journey from the South up to the cold streets of Harlem. The narrator remains nameless throughout the duration of the book; even as he receives a new name in Harlem that too remains hidden as he takes on a new role along his journey. A southern college boy who moves to the streets of Harlem under the orders of his college president. This happens only after finding himself in unexplainable chain of events. However, he proves to be very intelligent from a young age. Gifted with the power of speech; he can express himself effortlessly verbally and through writing. Having written a speech as a young boy it granted him the opportunity to speak at a boxing match. Although this speaking engagement in front of many prestigious and wealthy white men landed him a scholarship to college, he also became drunken entertainment himself. The rise and fall of the black man some may call it. Perhaps even the rise and fall of the black community. When proven to be special everyone has a plan for you. An idea of how you should act and execute things. The narrator was often thrown into situations that forced him to conform to others expectations, beliefs, lifestyles, and even stereotypes. All following the illusions of success or being wanted. It is aware he is needed but under strict stipulations and control. In each setting he lost a piece of who he was before understanding himself and his purpose in society. The narrator slowly became blind to the truth do to others complacency, greed, and ideology.He was invisible due to compromising his sense of self morphing into what others saw him as. Wondering through life with no true identity. Serving no help to himself ,his community, and /or the people. He began to question his beliefs and who to trust by the end of the book becoming lost and isolated. Finding himself in a hole figuratively, literally, and spiritually.